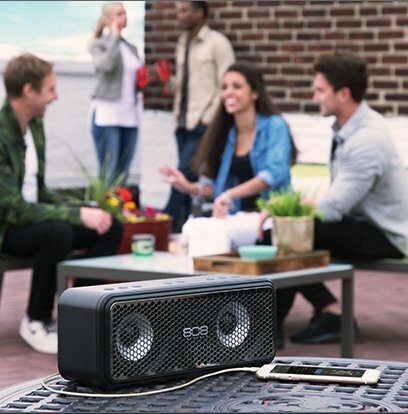 808 Audio gives you the best of form and function with it's LXS wireless portable speaker. The LXS was made to provide powerful, portable sound while including a built-in power bank to charge your handheld devices so you can stay charged while enjoying your music. This 20-watt system features 3" full range drivers and dual passive bass radiators plus an EQ bass boost option that provide massive stereo sound, all in a carry-anywhere design. The LXS is loaded with a powerful 4000 mAh lithium battery for portable USB device charging so there is no excuse to be without it whether you are at the dorm, the beach, the court, or the office as it will provide amazing audio and never leave your devices out of juice. The LXS even has hands free calling so you don't miss a beat. Its modern design includes backlit buttons that make operation easy, and the built-in rechargeable battery lasts 10 hours, so you can entertain friends with your very own pop-up party. 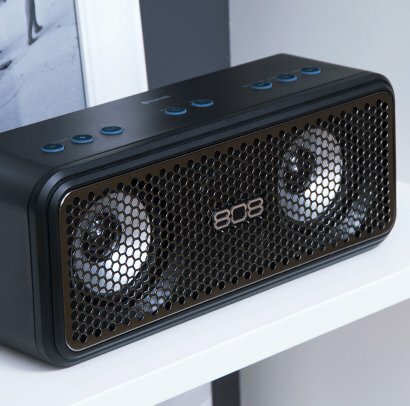 Say hello to the most powerful 808 Audio Speaker yet. 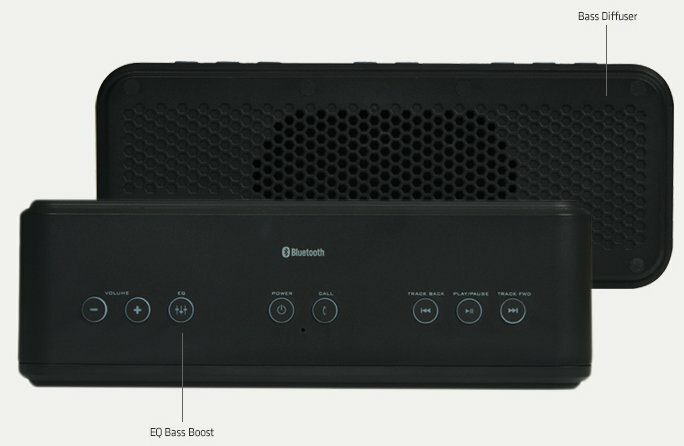 This 20-watt system features 3″ full range drivers and dual passive bass radiators that provides massive stereo sound, all in a carry-anywhere design. As if the powerful audio wasn't enough, the LXS is loaded with a powerful 4000mAh lithium battery for portable USB device charging so there is no excuse to be without it whether you are at the dorm, the beach, the court, or the office as it will provide amazing audio and never leave your devices out of juice. Equipped with EQ Bass Boost, the LXS will supply a massive kick from the dual passive bass radiators at the push of a button. Amazing little speaker!! The sound is so clear and can be easily connected to whatever device that has bluetooth! I love this one I have and just purchased another! They are truly amazing quality speakers! This speaker hits hard on all music! Also the best bang for your buck! Would definently buy again! Lisa from the company helped me tremendously when I misplaced my charger. Prompt response, courtesy, and professionalism at every turn. I will for sure recommend their products and praise their customer service.